Alpha 9.4 : Squad – Communicate. Coordinate. Conquer. In a surprise turn of events, we have yet another content release in the form of Alpha version 9.4! While we have been hard at work getting our big systems integrated for the upcoming v10 release, we just couldn’t let you sit around for months and not get some cool stuff in the meantime. 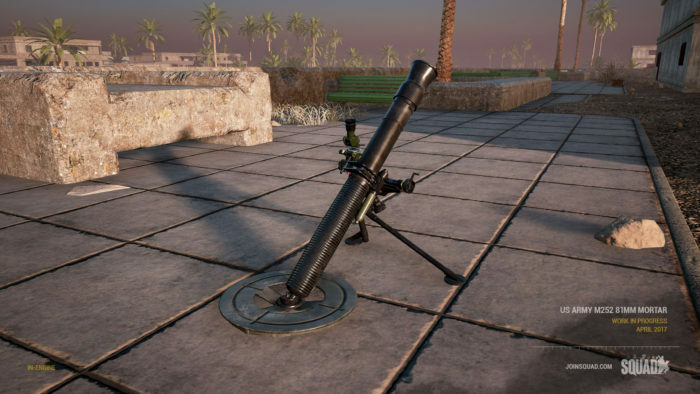 So some of us decided you guys need some juicy new toys for all factions including mortars, mines, IEDs and a few new vehicles to boot. Additionally, we have made some gameplay changes and balance tweaks to further improve upon what we did with v9. Version 9.4 is now available via Steam. Please always reset your appdata in the game settings on every new build! All vehicles in the game have had a ticket reduction, some more than others. Check out this reference sheet for details. All Recruit kits now have an entrenchment tool so they have a better chance of getting a kit back after a squad kick/leave. When a Heavy Anti Tank (HAT) directly hits an Armored Personnel Carrier (APC; Stryker, MTLB, BTR variants) it will no longer instantly blow up. 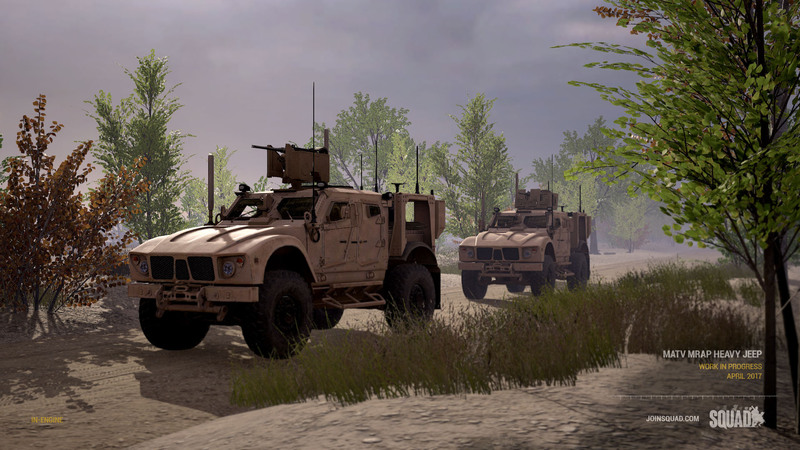 The vehicle will burn up and be destroyed, but now the crew and passengers has a chance to get out and fight through the ambush. Heavy Anti Tank kit moved to the Fire Support category so that the squad must think a little harder on which kits they want in the squad and what they will have to be without. Heavy Anti Tank kit is now limited to max of 1 per team, it still unlocks at 20 players on your team. All medics now have one fragmentation grenade. 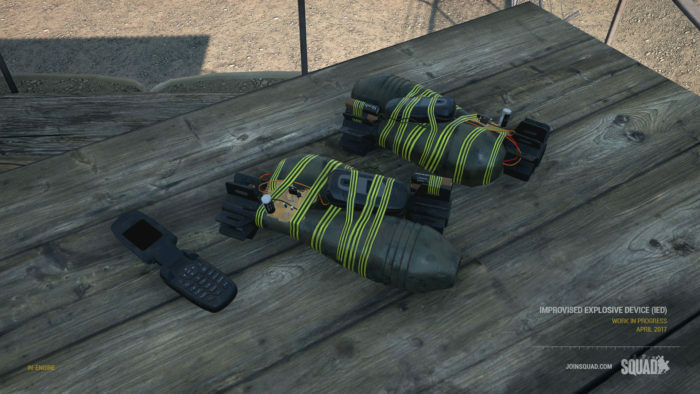 Reduced fragmentation grenades from 2 to 1 for the Scout kit. Limited the Scout kit to a maximum of 6 per team. Increased the limit on the Scout kit from 3 to 4 squad members before it is available. Added 1 TM-62 anti tank mine, one large IED, an IED phone detonator and 5 decoy rocks to the Scout kit. A Scout can have up to 3 anti tank mines deployed at any time, up to 5 decoys deployed at any time and only 1 large IED on the map at a time. Placing a new one will remove the oldest from the world. 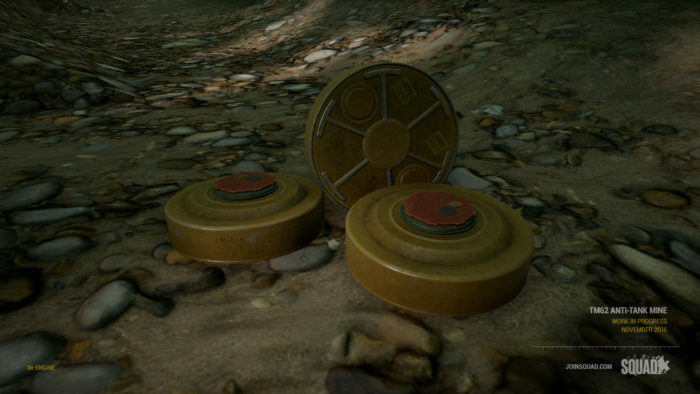 When you have placed a mine or IED you can dig it further into the ground to help conceal it, or leave it in plain sight to attempt to spook and funnel enemies into your other explosives or ambushes. This also means that your enemies can dig them up and thus neutralize them. Added M1937 82mm Mortar for Insurgents and Militia, 2B14 Podnos 82mm Mortar for Russia and M252 81mm Mortar for the US army. 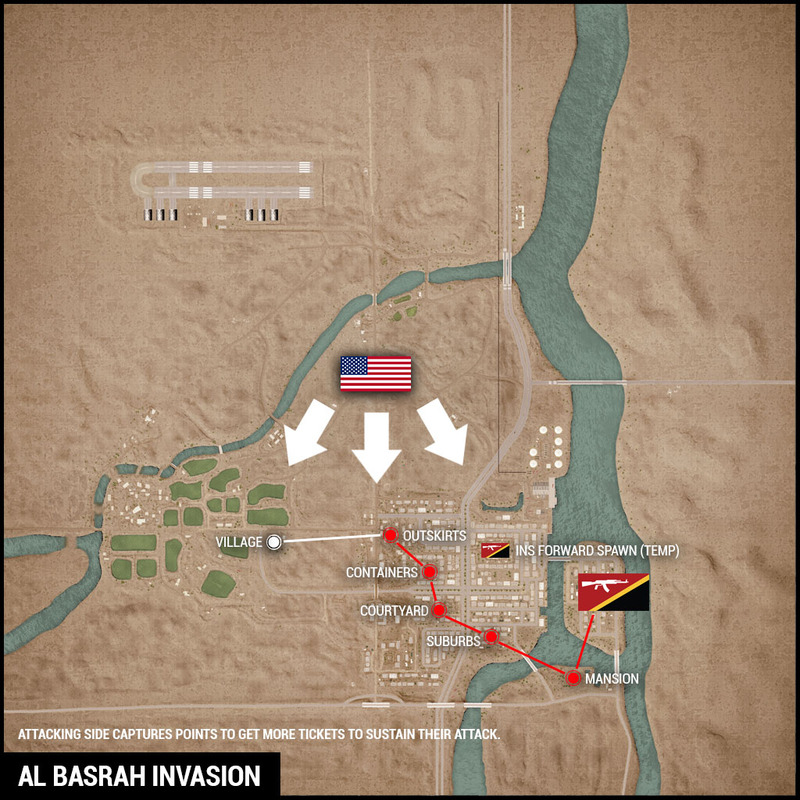 Costs 300 construction points and are limited to 2 per FOB. 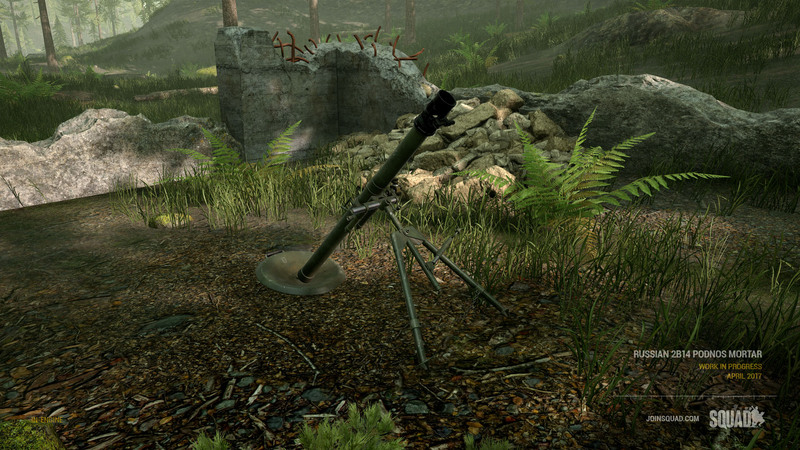 Mortars come with a ‘magazine’ of 3 rounds at the ready, reloading this magazine costs 90 ammo points from the FOB. 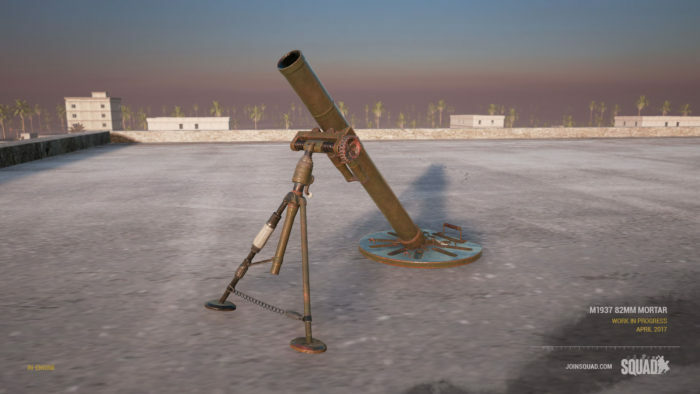 The current set of mortars in Squad has about 1230m effective range on a level surface, you will have to migrate your fire support battery to a closer FOB if you cannot reach your target. 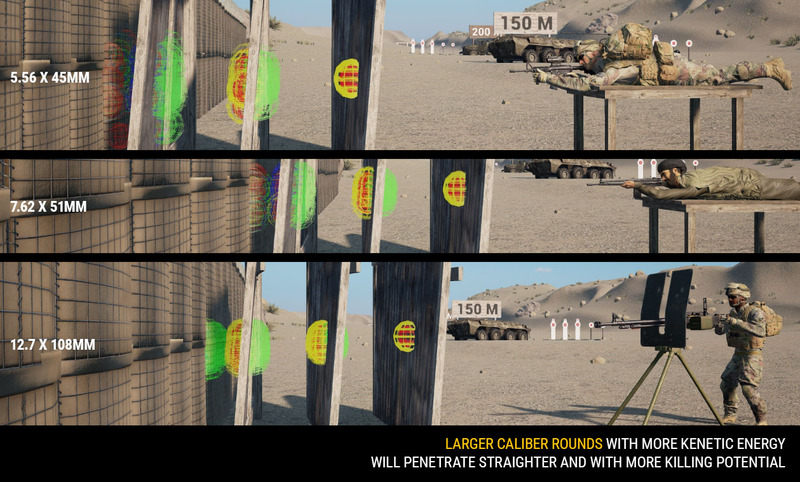 All mortars fires standard High Explosive rounds – more options will be available in the future. Tip: using the arrow keys on your keyboard will add/subtract 1 mil from your current angle. 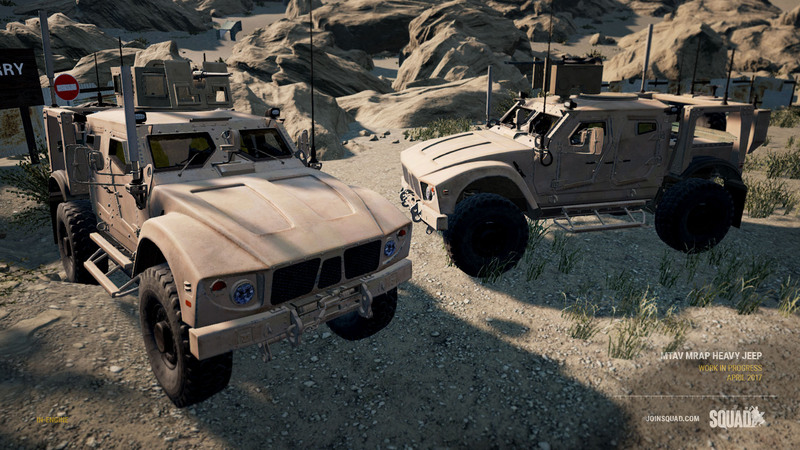 Added M-ATV MRAP Heavy Jeep for US, comes both with and without CROWS. 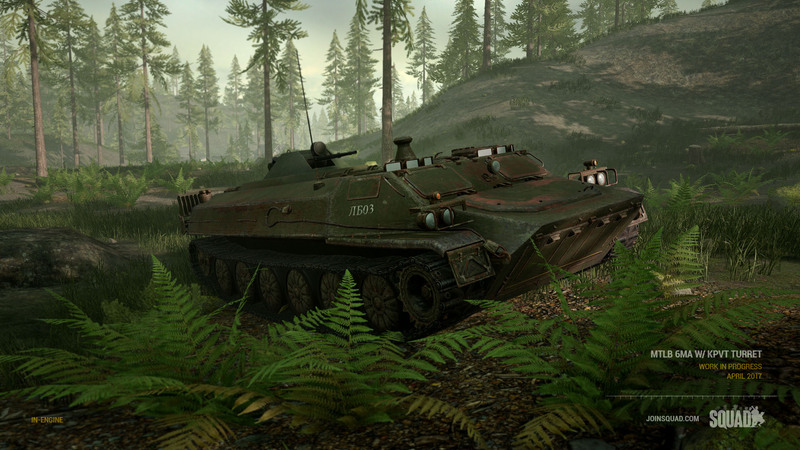 Added MT-LBM 6MA variant (armed with a KPVT 14.5mm turret) for Russia. All main bases now have a no deployable zone. Changed the way RPG-7 and SPG-9 rockets behave. Previously they all had too high muzzle velocity, now they have an accurate and lower muzzle velocity and a rocket assisted boost after leaving the barrel. There is greater differentiation between the different round types. Fragmentation rockets fly the straightest, HEATs drop a bit more and the heavy Tandem Round finally feels as fat as it looks. Added randomized deflection for penetrating projectiles. Upon exiting a material a bullet will deflect depending on the material and the caliber of the weapon. A good rule of thumb is that the bigger the caliber the straighter it will continue to fly through objects because of its momentum. Created a no deployables zone that stops deployables from being used near main bases and caches. Added better benchmarking that now runs on your first run of the game, or when manually triggered, instead of defaulting all players to epic settings. Sorted all deployables into subcategories to allow for more options. Added rocket acceleration to rocket projectiles. Added Invasion gamemode and ruleset. Updated the map grid system to be dynamic and more consistent for all map layers, there is now Major (300m), Minor (100m), Sub (33m) grids. Added dynamic map scale legend. Added grid reading to the map, the map will now show your current location player location or the location of your mouse on the map if in the spawn screen. Added a green ‘Request Fire mission’ marker for Squad Leaders to use when communicating with mortar squad. Easier to differentiate than calling out which MG marker you want to fire at. Added Enemy Mortar Spotted marker for marking enemy artillery positions. Added a Vehicle Health Bar for when you’re inside a vehicle. Added Mortar sounds; fire and explosion sounds. New incoming projectile sound system with sound triggers at certain heights. 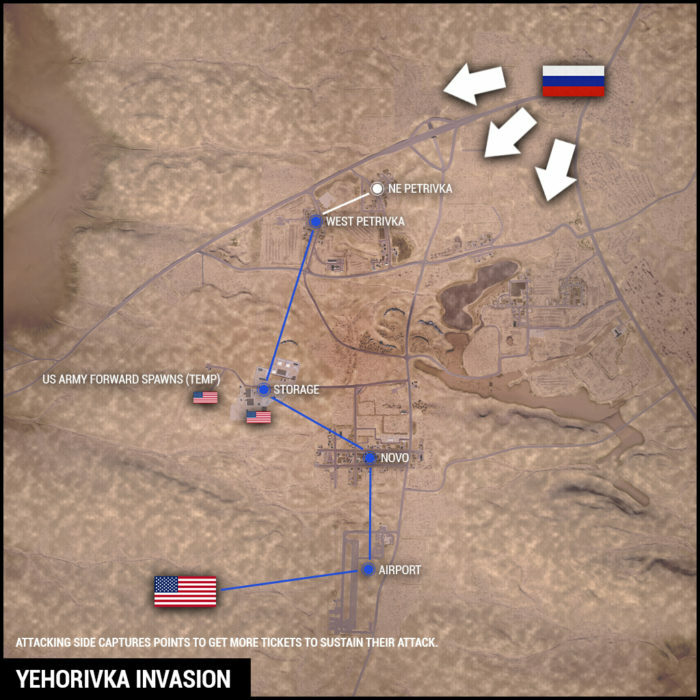 Gorodok AASv1 and AASv2 layers have been adjusted to increase frequency of combat. New Lighting has been done for all Al Basrah layers. Replaced trees on fools road with more ‘old growth’ feel. Quite different! 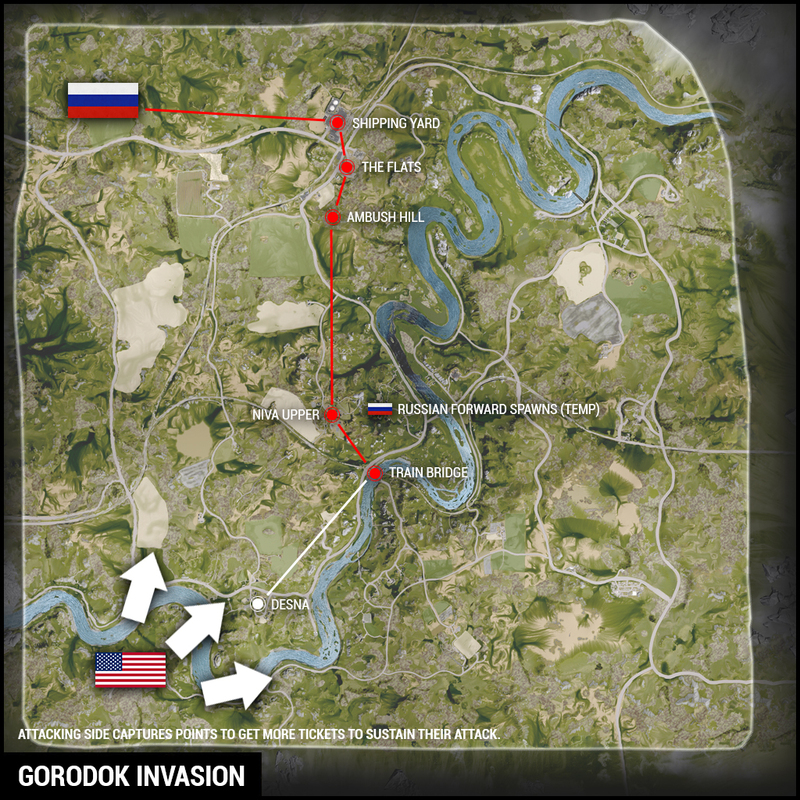 New game mode has been added called ‘Invasion’. This game mode bears resemblance to Kohat AASv2 Radio Tower. 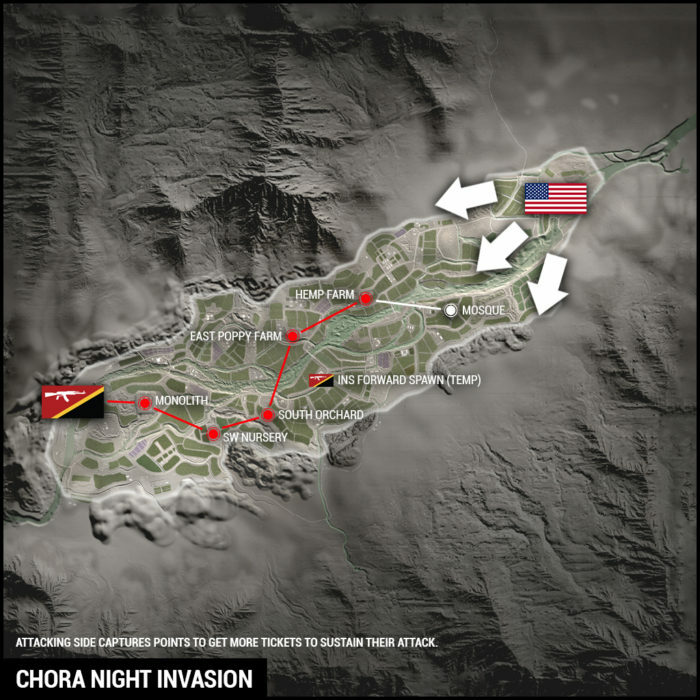 One ‘underpowered’ side starts with all but the first flag and the attacking team needs to capture all flags in order to reach the last objective to win. Maps containing Invasion game mode: Al Basrah, Chora AASv2 Night has been converted to Invasion, Kohat AASv2 Radio Tower renamed to Invasion, Gorodok, and Yeho. INS and MIL have had their base global tickets increased by 50-75 tickets on primary AAS layers to account for their unconventional nature. Expanded storage site on Yeho AASv1 to incorporate the entire area. Conquest layers have had their tickets increased for both teams from 500 to 800. Logistical trucks have been added to all INF layers for future proofing and general gameplay. Fixed shovels not finding the collision of deployables properly, it is now much easier to use the shovel. Fixed alignment issues in the grid system when zoomed in, you now get the correct grid at all times. See you all in the battlefield!